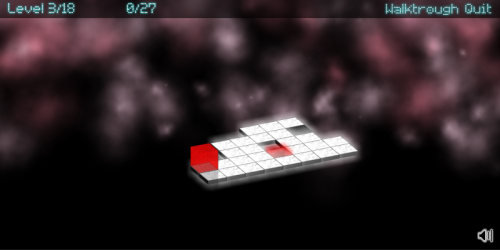 Description The goal of the game is to move the red block onto the red tile, by removing all other tiles. Tiles are removed then you step off them. There are three types of tiles. On white tiles you can step one time. On black tiles you can step two times. The blue tile works as teleport. To move the block, use arrow keys.